As our regular listeners will know, I am due to have our second baby in the next few weeks. I am now on maternity leave and completely ready to embrace giving birth and having a newborn baby all over again. Over the last few months we’ve had a fair bit of discussion in The Juggle Community about taking parental leave, much of which has been sparked by my own conflicting emotions over the topic! What sounds like a relatively easy transition – work, finish work, take some time off, have a baby – can actually be filled with an array of conflicting emotions. Below I share my advice to navigate the preparation for maternity leave, both in practical terms and in terms of preparing yourself mentally. 1. Start preparing as soon as you find out you’re pregnant – what are your work-related goals? 9 (or 10!) 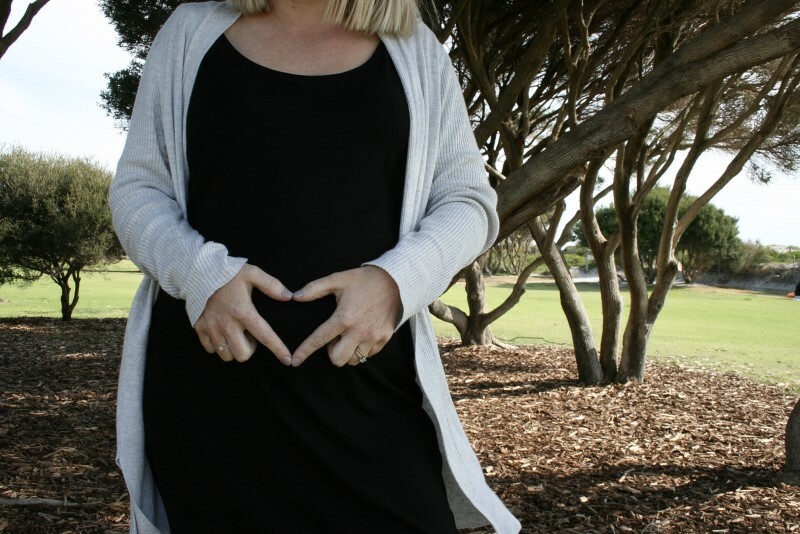 months might feel like a long time (especially when you’re pregnant! ), but it will pass by quicker than you realise. As I have discovered, that is especially the case with a second (and I assume subsequent) pregnancy. I told my boss about my pregnancy a few days after I found out. There were no secrets around the workplace that I wanted another child and I knew he’d be happy for me. Plus, my morning sickness the first time around was horrific and I expected that I’d need work to cut me some slack pretty soon. I knew what I needed to get done and, therefore, what work to say no to or to delegate to someone else. Having clear goals and objectives enabled me to work to my energy levels. It didn’t matter when the work was done, all that mattered was that it was done before I went on leave. I took full advantage of this and didn’t put too much pressure on myself during my first trimester when I felt constantly exhausted. I knew that I would soon have more energy and feel more motivated to get the jobs done. By time I started maternity leave I’d ticked off all the work on my list (and some extras!). I have no doubt that this helped me to feel calmer about taking leave as I knew that I wasn’t leaving any problem files or unfinished business for someone else to mop up. You may be involved in training someone else for your position while you are on leave or, at the very least, you’ll need a handover of some sort. It makes sense to keep a list of topics, files, processes and information that you need to pass on. Start this list early, even just a list of key words to jog your memory. You may then need to develop this into notes or guidelines to assist the person managing your work in your absence. I took the opportunity to train and upskill junior members of our team and to delegate work that was probably best done by someone else anyway. Each time I had a task to do I asked myself who would do this if I couldn’t and then set about teaching that person how to do the task. Not only did this teach others new skills, it also meant that I was around to help and answer questions during the learning process. If your employer offers paid parental leave you may need to complete an application. If they don’t, you may consider negotiating some form of paid leave. You may also be eligible for government-funded parental leave and, if so, you’ll need to lodge your application. This takes some time to do so don’t leave it until the last minute. I admit that I had conflicting emotions about this – I love my career, aren’t I supposed to want to keep working? But the reality was that I didn’t. Work itself was fine and I was happy when I was actually doing my job, but the commitment just felt too much on top of my constant state of exhaustion. So I decided to surrender to my body and to my baby and finish work at 35 weeks. This is still a little daunting for me as it could be up to 7 weeks before my baby comes (what on earth will I do with myself for 7 weeks! ), but having some plans up my sleeve has helped (see number 6 below). The lesson here is to do what is best for you. Some women will finish work at 20 weeks, others will work until their baby arrives. There is no right or wrong. No two pregnancies are the same and no one else is living in your body, so listen to your gut and do what you feel is right. Are you happy to be contacted while you are on leave or do you want to be left alone? Again, there is no right or wrong here. What’s important is that you make sure your plans are known. If you do not want people from work to contact you, tell them that. On the other hand, if you are happy to be contacted, make sure you set clear boundaries around what you are happy to do and what you want to be left out of. You may be happy to answer the odd question from colleagues, but you don’t want clients to contact you or to be responsible for getting work done. Whatever the case, make sure you tell the appropriate people. In my case, I have no plans to manage files or carry out client work (I have enough of my own projects to keep me busy! ), but I am happy to be contacted with questions or for little bits of advice. I also want to be kept in the loop about some things, so have specifically asked my colleagues to keep me informed. I ended up returning to work just two weeks after my daughter was born, partly because I didn’t know what to do with myself while everyone else was at work and my baby slept all day. Things will be different this time around as I’ll have a toddler to entertain, but I know myself well enough to know that I will want some sort of project to keep my brain busy. I spent quite a bit of time thinking about what my projects could be and have come up with three: writing a book with Jo for Managing The Juggle, building my profile through writing and publishing content online and some research and development for work. There is a lot there, but here is the key: none of these things have to happen. They are all completely optional. If my baby arrives and I want to do nothing but soak up all that mum life has to offer, then that is exactly what I will do. On the other hand, if I want to do something else that doesn’t involve “returning to work” where I will have to deal with other people’s expectations, deadlines and pressure, then I will pick up any one (or more) of my little projects. The key for me is knowing what to do with myself so I don’t fall back into what I know (i.e. work!). Your project doesn’t have to be work-related – you may have a pile of books you’ve been waiting to read or perhaps you want to learn crochet, have a Konmari clear out or a Netflix binge. Whatever it is, the idea is to have a plan, but to be completely open to every single piece of that plan changing. Welcome to new motherhood! Returning to work might be the last thing on your mind right now, but you should give it some thought. Honestly, I think it is impossible to know how we will feel about returning to work until our little bundle of joy has arrived in the world. I thought I’d want a few months off after my daughter was born, but found myself wanting to work relatively quickly. This time around I will take some more time off, but I am prepared with projects to keep me busy if I feel the need. Fortunately, my employer is very flexible with my leave and is happy for me to let him know when I want to return so I haven’t put any dates on it yet. If you are also unsure, talk to your boss and see if they can be flexible with your return date too. So, that’s my key advice for preparing yourself for maternity leave. What else would you add to the list?